This is the only white chocolate fudge recipe you’ll ever need! It doesn’t require special equipment or extended beating, it always sets up, and it’s not too cloyingly sweet, thanks to the sour cream in the recipe. 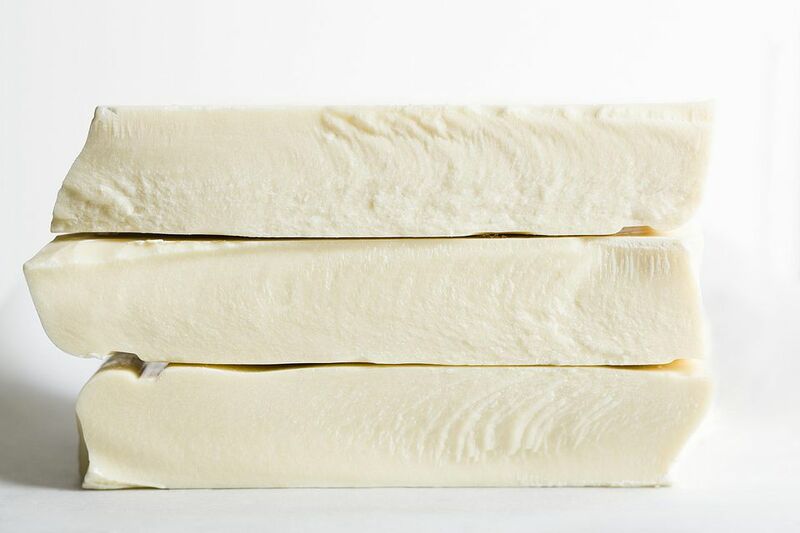 This is our go-to recipe whenever we need white chocolate fudge, and we use it as a base for countless other recipes. Just add your favorite flavorings, nuts, fruit, or other mix-ins, and you’ll see how versatile and delicious this recipe is. Place the cubed butter in a heavy-bottomed 4-quart saucepan over low heat, and stir it occasionally until it is nearly melted. Add the sour cream, sugar, and salt, and raise the heat to medium. Stir until the sugar melts. Add the vanilla and stir well. Pour the fudge into the prepared pan and smooth it into an even layer. Allow it to set at room temperature for 3 to 4 hours, or in the refrigerator for 1 to 2 hours. To serve, cut it into small 1-inch pieces. Store white chocolate fudge in an airtight container at room temperature for up to one week or in the refrigerator for up to two weeks.